Loveology: Lovely shop + 2 Giveaway's! Lovely shop + 2 Giveaway's! where you can buy the prettiest and delicate jewelry. or as a gift to yourself. 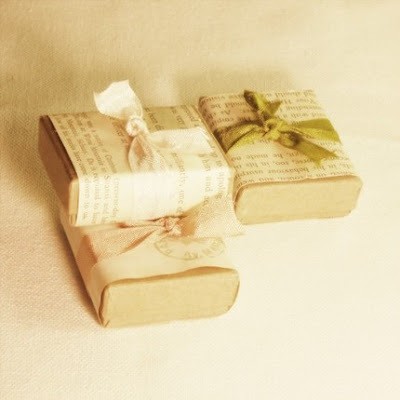 Flavanilla's packaging is definitely lovely and ready for gift-giving! or the wonderful 'Ivory Rose'! just leave a comment and tell me what's your absolute favorite item from Flavanilla's Etsy shop! Please also leave your email address in your comment, so I can contact you if you win the Giveaway! You can join this Giveaway until January 31. Two winners will be randomly chosen on February 1. My absolute favourite item - Lemonade Rose Necklace. I love yellow! This giveaway is so nice ! My favourite item is the The Heart Key Long Necklace. It is so hard to choose, they are all so beautiful. I just discoverd your blog (by ookah). From your Etsy shop, my favorite one is "Angela. Rose Vintage Necklace" but it is very close to "The red shoes. 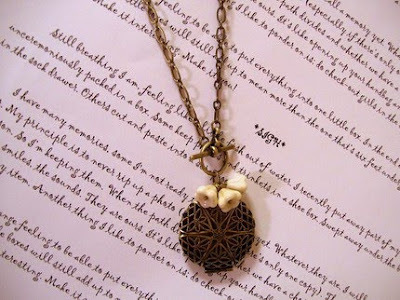 A whimsical necklace" and to th "riding bicycle". I adore the sea shell necklace it reminds me of the sea on a summers day! Beautiful! My favorite item-- Dainty little bow locket necklace. I love it! So simple..it looks antique! I love the old antique key necklace! I love the The magical mirror, Whimsical necklace. When I saw it at your homepage I was like: "Finally! The perfect 'not so ordenary' necklace!" I adore the ring, vintage heart necklace. So cute! And I never comment but I love your blog and check it at least 2-3 times a week. Keep up the fantastic work! Wow, zodra ik haar winkeltje bekeek besefte ik dat het vrijwel onmogelijk zou zijn om maar 1 favoriet te kiezen... Als het dan toch echt moet: Creme Brulee Bride Vintage Locket Necklace. Prachtig vind ik hem, perfecte kleurcombinaties en ik hou van de redelijk 'zware' ketting, zo'n delicaat kettinkje ziet er wel mooi uit maar past meestal niet bij de kleren dat ik draag. I love the dainty little bow locket. So precious! 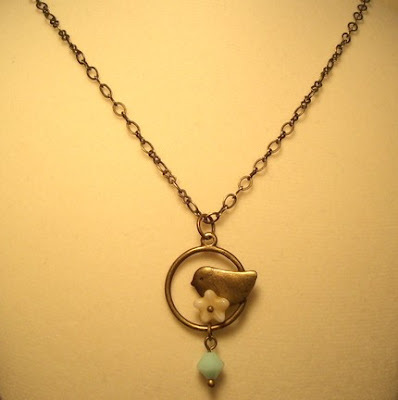 De Ophelia pale blue petite locket necklace is gewoon perfect. Het roosje is prachtig op het hart, een geweldige ketting. Het lijkt me gewoon een feestje om te dragen en het herinnerd me aan mooie momenten. My favorite item from Flavanilla's Etsy shop must be "The red shoes. A whimsical necklace". It immediately caught my eye. It makes me think about dancing and it's a nice finishing touch to an outfit, it will complete it. I also like it because it's cute, those tiny shoes. AND it makes me think of the fairytale (love them). My e-mail: elle_vdm at live.nl . The at ofcourse is to prevent spam. 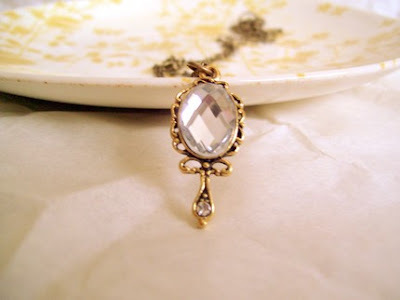 I love the Creme Brulee Bride Vintage Locket Necklace. So simple, so lovely, so delicate. Such a gorgeous shop! I love Etsy recommendations, they never let me down. My favourite is 'The Magic Mirror', it's just to darling and elegant. It reminds me of Alice Through the Looking Glass, and that I can't go anywhere without a mirror haha. I love the cotton candy heart locket necklace! So precious! count me in! lovely giveaway! 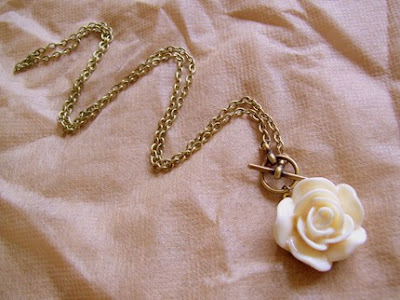 my favourite item is the tea rose caramel necklace. so darling! what a lovely little giveaway. wat een lief musje ;) , ...count me in please! 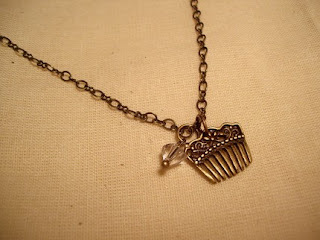 I love the little hair comb necklace - I've never seen a charm like that before! 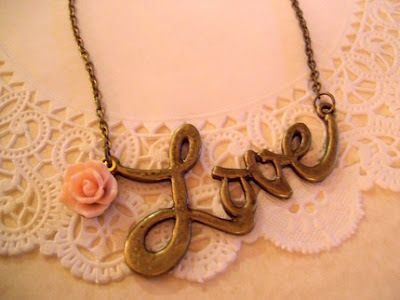 I love this necklace, so Carrie Bradshaw, so Vintage, I just love it. they're all so pretty, but my favourite will have to be the cotton candy locket necklace - instantly fell in love with it! my favorite is the fleur verte creme fraiche necklace! it's simple & lovely. glad yr back! 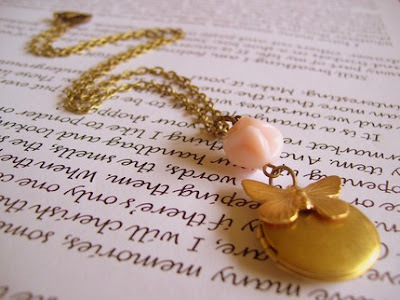 To many to choose from, but I adore the Butterfly Vintage Locket Necklace. Beautifull. I love the sea treasures necklace!! the angelic earrings are so cute! thanks for the opportunity! love your blog! They are all so beautiful, but I especially adore the Magical Mirror necklace, it reminds me of an ethereal, dreamy fairy-tale. I love the feather and pearl necklace. So elegant. DARLING! How are you doing? I miss you! Spain is amazing, I am having a super badass time, and learning another language is so effing rewarding...I am sorry I haven't been round much! I miss chatting with you! Tell me how you are lovely. I love the magical mirror necklace the most, but it was so hard to choose one. I adore the 'Angelic Earrings', they're so so lovely! Gosh! it's sooo hard to choose just one!! i luv the whole storee!! 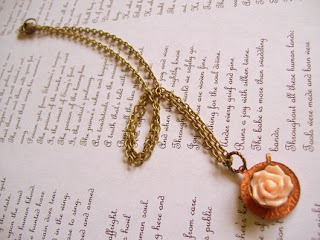 but if I must choose i guess it has to be: A Cup of Rose Tea Vintage Necklace, it just caught my eye! oh the bicycle necklace - thanks for the giveaway! my absolute ABSOLUTE! favorite is the Creme Brulee Bride Vintage Locket Necklace! so precious. My absolute favorite is the Magical Mirror necklace. It's lovely. Everything is beautiful in her shop, especially the lockets. I'm in love with the delicacy it brings to the jewelry. It's really hard to choose just one item, because all of them are absolutely beautiful!! I adore the Fleur necklace, it's lovely! There are so many pretty things, but I especially love the feather and pearl necklace. So perfect! I would have to say "Magic Mirror" b/c it is so feminine and reflects our gorgeous inner beauty as a woman. It would match any outfit and definitely draw attention to the decollette. Everything she sells is magical but this necklace really stands out. I can see Alice in Wonderland wearing it. Thank you for the chance to enter your contest!! So many nice things--I love the Cinderella's Tears. Long necklace--thanks for the chance to win. what a great giveaway! please count me in. but they're all so pretty. Hi, I absolutely loved the riding bicycle necklace. Wonderfully playful and very Cinderellaesque. en het heeft dezelfde naam als mijn lievelingsschilederij van millais! It's a toss us between the old antique key, the vintage come and the teary unicorn. So beautifully made. It's difficult to chose as it is all so refined and special. I have to pick two: the angelic earrings as those plunging drops are difficult to find + the necklase with the little bird. That's too cute! Also nice to see that the items come from Cedar Rapids Iowa. My sister did a high school exchange in Marion (close to Cedar Rapids). Wat vreselijk moeilijk om 1 item te kiezen! 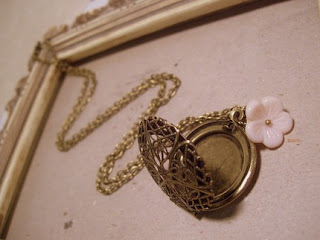 SnowWhite, dainty little locket is toch wel m'n favoriet.. It's very difficult to choose, they're all so beautiful :) I'll say Riding Bicycle, it's so cute! The Snow White Dainty Little Locket! I love the Riding Bicycle and the Magic Morror. They're all sweet pieces. so pretty. great stuff. thank you for sharing this shop. I love the Old Antique key necklace. oow i love 'em all!! ben hard aan het oefenen op sieraden dragen en zou graag trainen met Ivory Rose. [url=http://cpcheat.org/]Club Penguin Cheats[/url] provides you with a [url=http://cpcheat.org/club-penguin-money-maker/]Club Penguin Money Maker[/url] that allows you to make a lot of coins in Club Penguin. The Green Garden Locket is my favorite. Oh thank you for the giveaway, the bird necklace is especially beautiful! My favorite item from store is the Bleu et Creme Fraiche Necklace, although I really love the giveaway bird necklace just as much! I love the flying in paris necklace. how cute! I loveLOVElove the little birdie on my window, and the little comb necklace. My favorite is the vintage mirror necklace. Absolutely unique! Hi! I absolutely ADORE the Riding Bicycle long necklace. It's so unique and pretty at the same time. It was hard to chose as so many of her things caught my eye. They have such beautiful pieces! Thanks for introducing me to their esty shop! There are lots of pretty things in this shop but my favourite is the Green Garden Locket Necklace. lately, I've been obsessed with all things green and this necklace fits in perfect! But I just simply adore the creme brulee locket. Since I was young I've loved lockets and the fact that you can keep a picture of the person dearest to your heart in a little necklace hanging around your chest. I love the Flying in Paris necklace... but there is literally nothing in this shop I don't adore. I really dig the Secret Leafy big long locket necklace. The industrial look is in a way that it is simply, clean, and elegant. I really like this shop. Thank you for the introduction! Otherise I like both your giveaway necklaces! I really adore 'the little birdie on my window necklace'. i can't even decide between the two, but i LOVE her key necklaces! I love the heart key necklace! But all of the items are so precious! This is such a lovely thing to do! Hope all is well, dear! Ik vind die met dat vogeltje zo schattig! Ik win bijna nooit wat, dus hopelijk wordt dat schattige kettinkje van mij. ahh! it's so hard to choose a favorite, but if pressed, i'd have to pick the 'secret leafy' locket necklace. thank you for the lovely blog. it's like a daydream. My favourite is the little bird, not just because it is part of the giveaway, but because it is so beautiful. I love birds. My fave is the Green Garden Locket Necklace, but they really are all gorgeous. Thanks for hosting this giveaway! I like the Secret Leafy Long Locket Necklace. I'm basically obsessed with the "little birdie in the window" necklace. So cute. Also, I love your blog! The pictures you post always make me smile; I love how whimsical and sweet they all are! My favorite is the Bianca's tears. Locket necklace. I love the "I heart you" necklace, but it's all lovely. i love the cotton candy locket! :) very pretty! out of all the truly wonderful etsy range, i must say i absolutely adore the riding bicycle long necklace. it is simply a beautiful piece of jewellery that looks very vintage and unique and i just adore penny farthings. My fave is the old antique key necklace! So romantic! Thank you for this fabulous giveaway! 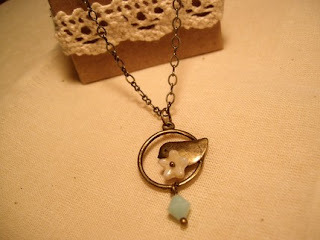 I love little bird jewelery so my favorite is the 'The Little Birdie On My Window Necklace'. Thank you for this giveaway! Awe thanks for this great giveaway! ahh i hope i am not too late, it's still the 31st where i live! i lovee the vintage comb, it's so original and sweet! like gambling? friendship las vegas? show in the all modish [url=http://www.casinolasvegass.com]casino[/url] las vegas at www.casinolasvegass.com with all upon 75 frame uncovered [url=http://www.casinolasvegass.com]online casino[/url] games like slots, roulette, baccarat, craps and more and keelhaul blunt coins with our $400 not stimulate bonus. we valid unbroken fastidious b wealthier games then the falling separately online [url=http://www.place-a-bet.net/]casino[/url] www.place-a-bet.net! few more free casino games and free [url=http://www.2010-world-cup.info]casino bonus[/url] you can find at the 2 new [url=http://www.buy-cheap-computers.info]casino[/url] guides : www.2010-world-cup.info and www.buy-cheap-computers.info . looking for [url=http://www.web-house.co.il/SEO%20Specialist.htm]seo specialist[/url] ? validate at liberty our [url=http://www.smashflash.com/]free flash templates[/url] and get your own falsh website through despite available today, colossal selection of free [url=http://www.smashflash.com/]flash templates[/url] repayment for you online, varied new designs with ir without flash. those are great and beautiful gifts to give to my girlfriend and future wife, I will buy the collar with the love word, thank you so much! In all honesty – Generic Metformin do quite a few of these things – just a bit differently at times maybe. I engage a heck of a lot – but they’re not always new people – although they are at times. Generic Ultracet do a lot of thanking (at least more than 10 a day) – especially for RT’s and comments – whether to new folks or to ones I already know. Doesn’t matter – a thank you to anyone that’s done something nice for you is well worth it. But then again – you already know how I feel about that right ?